As part of the theme for this year, there is a particular focus on giving back to the community. 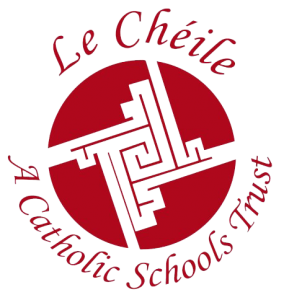 There are a number of activities lined up including a question trail with clues hidden around the school and a poster competition on the theme of Catholic Schools week which will be judged on Thursday with great prizes on offer. A number of classes will also go out into the local community and help to tidy up the area surrounding the school. In addition, we will take time out of our day each day to reflect on the thought of the day. By his life, Christ brought about reconciliation and peace. He has shown us the way to love and respect others. In order to offer deep respect to another religion or culture, we must make a special effort to understand it and learn more about it. 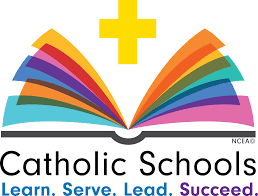 As a Catholic school we need to focus on what we have in common with other faiths and not on our differences – All are welcome. 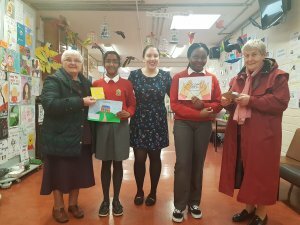 The winners of the Catholic Schools Week poster competition, Santamary Thambi (2nd Yr.) and Mariam Awoniyi (4th Yr.) were presented with their prizes by representatives the Ursuline Order. Fourth year students Jodie Tuohy and Anna Grogan presented flowers to representatives the Ursuline Order as part of activities for Catholic Schools Week.